The lack of international certification of the ARJ-21 is a major issue for sales in the international market I think. From what I heard there is no easy way for them to get US certification without changes to the design. Never heard of European certification either. This is particularly problematic for airplanes operating in international routes in small countries. Inside China proper the lack of international certification is a non-issue. zealotaiur485, N00813, Equation and 1 other person like this. AVI group's 601 Shenyang design office inaugurated its new research and innovation center in Yangzhou, southern China. mr.bean, N00813, davidau and 6 others like this. 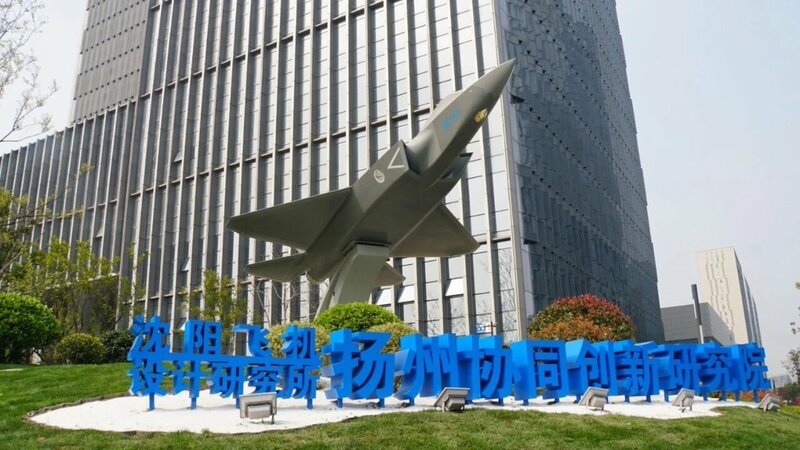 (Yicai Global) April 12 -- China Southern Airlines, China Eastern Airlines and Air China, the nation's three biggest Chinese carriers in order, are forging plans to start using the locally made ARJ21 regional jet. China Eastern has set up a special team to prepare for operations using the aircraft, a source at the Shanghai-based airline told Yicai Global. Its subsidiary China Eastern Business Jet, which provides corporate chartered flights, will also use the plane, the insider added. 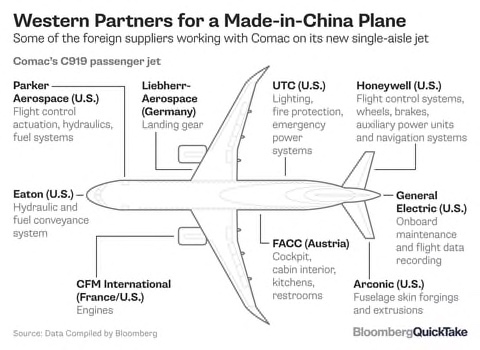 Commercial Aircraft Corp. of China developed two versions of the aircraft, one for passengers and one for freight, with ranges between 2,225 kilometers and 3,700 kilometers. The plane is intended for short-haul flights, typically from a central larger metropolis to surrounding smaller cities. Regional carrier Chengdu Airlines already has 10 of the jets, and several other smaller airlines have some on order. Air China and China Southern intend to set up new subsidiary airlines specifically to operate the ARJ21 planes. The nation's civil aviation regulator announced in 2016 that it would assume greater control over the formation of new airlines, and offer support to investors looking to set up regional carriers using domestic aircraft. zealotaiur485, DigoSSA, Yodello and 5 others like this. Big order could be coming soon. zealotaiur485, Nutrient and Equation like this. Yodello, zealotaiur485 and newbird like this. No worries, that's where China 2025 comes into play. Yodello, zealotaiur485, KIENCHIN and 3 others like this. AF-1, Yodello, zealotaiur485 and 8 others like this. BEIJING, March 28 (Xinhua) -- Air China, the country's flag carrier, saw its net profits edge up 1.33 percent in 2018 to 7.34 billion yuan (about 1.1 billion U.S. dollars), according to a company statement. Operating revenue climbed 12.7 percent to 136.77 billion yuan last year. The company achieved "relatively good" financial results despite the adverse effect of higher oil prices and a weaker yuan, according to the statement. Domestic and international travel demand was robust, and the company strengthened cost control, it said. The airline, now having 669 passenger planes, carried 110 million passengers in 2018, up 8 percent from 2017. The company said it will continue to upgrade business models, improve services and control costs in 2019, predicting sustained growth in air travel demand and a better business environment. CHENGDU, March 27 (Xinhua) -- Sichuan Airlines said it will launch a direct flight connecting Chengdu, capital of southwest China's Sichuan Province, and Rome on June 25. The first regular flight linking the two cities will be operated every Tuesday, Thursday and Saturday, on Airbus A330. The flight will take about 11 hours. Italy on Saturday signed a memorandum of understanding with China to jointly advance the construction of the Belt and Road Initiative. The two countries will co-hold the culture and tourism year in 2020. SHANGHAI, March 30 (Xinhua) -- China Eastern Airlines Co., Ltd., one of the country's three largest state-owned airlines, registered revenues of 114.93 billion yuan (17.13 billion U.S. dollars) in 2018, up 12.99 percent year on year, according to a company statement released Friday evening. The net profits attributable to shareholders was 2.71 billion yuan, down 57.35 percent from the previous year, the Shanghai-based airline said in its annual results for 2018 filed to the Shanghai Stock Exchange. The company cited rising oil prices and exchange losses caused by exchange rate fluctuations as causes of the decrease. The airline carried 121.2 million passengers last year, an annual increase of 9.4 percent year on year. By the end of 2018, the airline had a fleet of 692 planes.